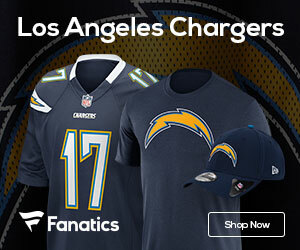 The Chargers are playing their best football at the right time, as they enter the playoffs, and as they wrapped up the AFC’s number three seed on Sunday with a win over the Raiders, the team also clinched a playoff game vs the number 6 seed in the AFC, either the Tennessee Titans or the Cleveland Browns. Sunday in Oakland the team was actually outgained by the Raiders 316 to 253, but did enough to beat their rivals 30-17. Phillip Rivers threw a pair of TD passes, one to running back LaDainian Tomlinson, the other to Chris Chambers, as the team built a 14-10 halftime lead, then added 10 more in the third quarter and two Nate Kaeding field goals in the fourth as the defense held Oakland in check as they took home their 11th win of the season. The win for the Chargers means a home game next Sunday vs the sixth seeded AFC team, then if they win that they will travel to Indianapolis, where they will rematch against a Colts team they beat earlier in the season on a Sunday night in San Diego. Both teams have come a long way since then, and a possible divisional matchup with the Colts could turn out to be a classic. Back to the Chargers, they will enter the playoffs on a high note. They have not lost a game since November 18th vs the Jags on the road, a team they will not have to face in the playoffs. They seem to have all the pieces in place to be a solid favorite next week, then if they win that they should give the Colts a ride in the divisional round. For now, they will sit back, get ready for round one, and then hope that their comeback story of 2007 continues.